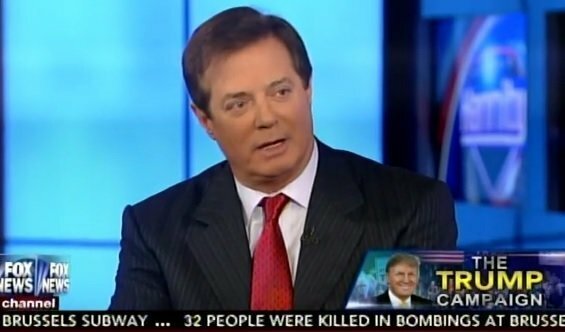 Paul Manafort Joins Podestas and registers as a foreign agent. Former Trump campaign manager registered as a foreign agent — but not for Russia– this week. The Podesta group also registered as foreign agents in their international dealings. The President’s former campaign chairman, Paul Manafort, is officially registering as a foreign agent. A spokesman for Manafort claims that he was talking with the government about registering before the recent election. He is now taking the “appropriate steps” following guidance from the government. A spokesman for Manafort made the announcement just after the Associated Press reported that the Podesta Group has registered with the Justice Department under the Foreign Agents Registration Act (FARA) for work done for the European Centre between 2012 and 2014. The Podesta Group, which received $1.2 million for the work, is operated by Tony Podesta, a major Democratic donor and the brother of Clinton campaign chairman John Podesta. Podesta Group and Mercury Public Affairs, another lobbying firm that consulted for the European Centre, initially disclosed their work to the U.S. Senate under the Lobbying Disclosure Act. That law has fewer disclosure requirements than FARA. The Podesta Group claimed last year that it did not register under FARA because the firm was assured by its partners that the European Centre was not working for or on behalf of a foreign government. This is not the first time the Podesta Group has been forced to register retroactively under FARA. The firm registered under FARA in November for work it did for the Indian government in 2014 and 2015. Emails hacked from John Podesta’s Gmail account showed that Tony Podesta asked for help for a representative of the Indian government.